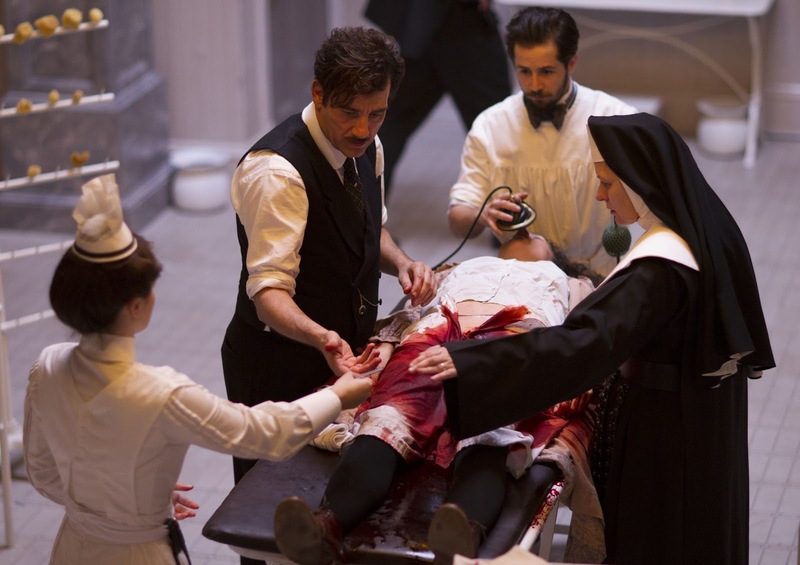 Ricomincia anche da noi in Italia, in contemporanea con gli Stati Uniti, la serie The Knick romani diventata cult per gli amanti sia dei period che dei medical drama! 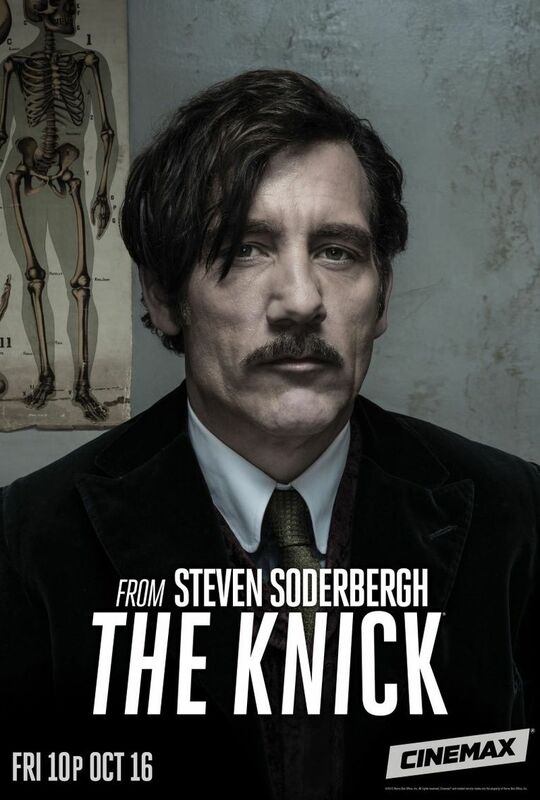 All the fans of period and medical drama couldn't eat for the second season of The Knick and finally the time has come both in the States and in Italy! Il titolo infatti rappresenta l'abbreviazione affettuosa di Knickerbocker, ovvero un ospedale molto attivo a New York nei primi del '900 dove opera il talentoso chirurgo John Thackery interpretato dal sempre inteso Clive Owen. 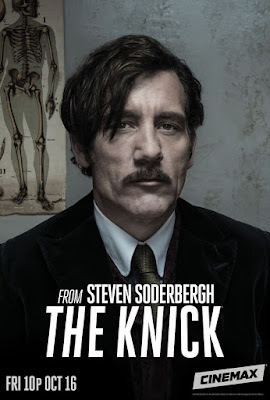 The title of the series is the abbreviation of Knickerbocker, a New York hospital very active at the beginning of 1900 where the talented surgeon John Thackery serves as Chief of Surgery. La serie mostra in maniera forse un po' troppo cruenta le difficolta' di fronte le quali si trovavano i dottori all'inizio del secolo scorso e quanto influisse il genio innovativo di alcuni chirurghi che, frustrati per le decide di persone morte sotto i loro ferri, idearono nuovi strumenti e procedure sempre più all'avanguardia. The series shows in a perhaps a little to bloody way the difficulties that doctors working at the beginning of last century had to overcome and what a great role played the genius of some surgeons, frustrated by the many people died under their scalpels. In fact, the creators of the series inspired themselves to the life of William Stuart Halsted, using for the plot his very much important inventions in the surgical field and, at the same time, his weaknesses such as the cocaine and opium dependence. Non si può negare che a parte l'interpretazione di Clive Owen abbia contribuito molto al successo della serie, e alla sua riconferma per una seconda stagione, la scelta del regista da Oscar Steven Soderbergh di adottare il progetto in pieno fungendo anche da produttore, direttore della fotografia e montatore (questi ultimi due ruoli dietro pseudonimo). Nobody can deny that, a part from Clive Owen's interpretation, a great contribution to the success of the series was given by Oscar winning director Steven Soderbergh's choice to adopt the project as a whole: he's also producing it and working as director of photography and editor! Non posso esimermi anche io dal fare un salto nel passato newyorkese e proporvi la ricetta di un cocktail che probabilmente rappresenta uno dei primi drinks ideati dai baristi americani addirittura nel 1800...il KNICKERBOCKER! I can't help myself to make a leap in the past and give you the recipe of a cocktail that was probably one of the first drinks invented by American barmen in the 1800...THE KNICKERBOCKER! I found the ingredients, the photo and the story of this drink on Esquire website where you can read how Knickerbocker surname was used to indicate a certain part of East Coast population that named after itself neighborhoods, hospitals, private clubs and the basketball team. Ingredienti: 750ml di rum, 1 1/2 di sciroppo di lampone, 1/2 cucchiaino di orange curaçao, 150ml di succo di lime, frutti di bosco e uno spicchio di lime. 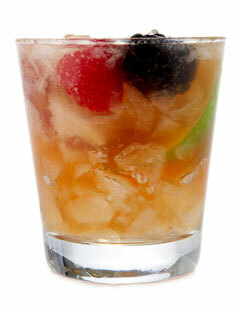 Ingredients: 2 1/2 ounces of rum, 1 1/2 teaspoons of raspberry syrup, 1/2 teaspoon of orange curaçao, 1/2 ounce of lime juice, lime and berries.